The quote by Carr reminds me of this Sprint commercial. Yeah, I see the connection. “I have the right to be unlimited.” There’s a tag line. I’m enjoying the Borg complex series. And, you will be pleased to learn, I am discussing the idea amongst friends. Thanks for the continuation of this series. It is highly informative and enjoyable. 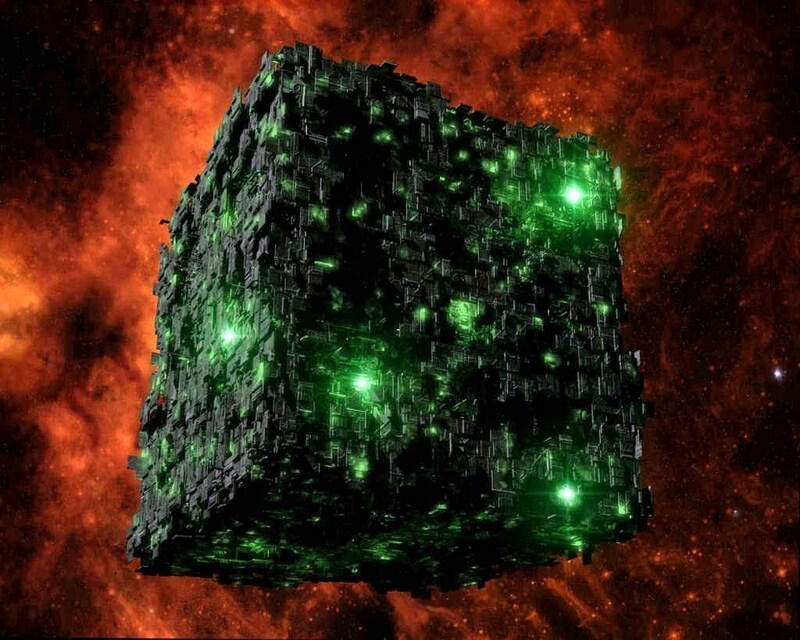 As someone who works in education, I have seen this “Borg complex” in both administration and students. From the administrative side, there is this (uncritical) push to assimilate simply to “keep up with the Joneses” (my words, not theirs, but certainly this is not a new phenomenon). From the student side, their assimilation is almost complete, as they not only see no reason to resist, but see resistance as unnecessary and even harmful. Who, after all, can encounter a 24 hour period without “pinning” something to one’s Pinterest board or uploading another photo to Instagram? But your post gives me hope in the act of contemplating and perhaps encouraging others in this act as well. Thanks again. always about technological utopianism. There’s some wisdom in Star Trek! remember the phrase “manifest destiny” as something that was given for justification of taking over the continent and heading west. United States” but with a technological or cultural bent rather than political? I see some of this in the essays I’ve read of Wendall Berry. Maybe McLuhan gives such examples? I haven’t read much of him. the pros and cons of any particular development for those people it is proposed for. Technology is our buffet line.